Russia is finally embracing transparency-so long as it poses no threat to political stability. Andrei Jvirblis is a Moscow-based journalist and head of Transparency International Russia’s Public Activism group. In 2013, after membership of just over a year, Russia retracted its signature from the Declaration of the Open Government Partnership (OGP). Signatory countries recognise that the state should strive for openness: increasing access to information on the activities of state institutions for their citizens, stimulating public engagement in government and implementing policies of transparency and accountability-and all through state of the art technological means. There was no official rejection of the partnership’s aims from Russian officials-there was just talk of reviewing the scale and form of Russia’s participation in the partnership, as well as developing its own ideas on this issue. That said, at the time of signing the declaration, and particularly after its withdrawal, various nationalist and pro-Kremlin media and blogsites were actively spreading the idea that the OGP was a channel of American influence and a limit on Russian sovereignty. Homegrown experts, unsurprisingly, welcomed the official change of heart. 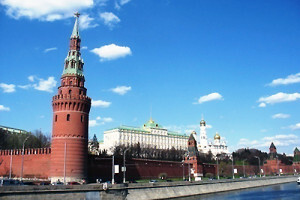 Open Government is a rival of Russia’s Civic Chamber, which was set up in 2005 with the aim of improving cooperation between state and civil society. With 126 members, the Civic Chamber hosts something of an all-star cast of Russian civil society. Today, these two structures compete for the renewal and control of the system of public councils attached to government bodies. (These councils were also created under Medvedev, but the majority of them turned out to be a complete farce-most of the time they didn’t even hold meetings, let alone carry out any substantial work). The first open online discussion of state initiatives was piloted on the draft police bill in 2010. A special site with the draft text was set up, and all you had to do was register. This approach and the visibility of the subject to be discussed-the trigger for police reform was the shooting of three people by a senior police officer in a Moscow supermarket in 2009-drew a lot of people in. But many of them were unhappy with what came next: media discussions were censored, and the dialogue with experts wasn’t properly organised. The government evidently didn’t like the results either: the user polls following the discussion soon led with rather radical proposals, which had to be written into law-for instance, a mandatory badge to be worn by police officers when in public. This kind of discussion continued for other legislative initiatives until the idea tailed off when Putin returned to the Kremlin in 2012. But Russian law does not permit the authorities to refuse a public discussion, and its relocation to the internet -well, that’s just progress. Active Citizen, however, suffers from the same flaw as previous popular platforms: its inability to verify users’ identity. On the other hand, this very flaw allows it to create the illusion of mass involvement and claim to engage the public in debate about government decision making. The site has more than a million registered users, and the city authorities have already begun to use it to create public discussion of planning decisions. This is a small opportunity for Muscovites to influence the development of their city’s infrastructure, but it is the only one available and at this stage it does give dissatisfied groups of residents the maximum chance to challenge arbitrary official decisions.